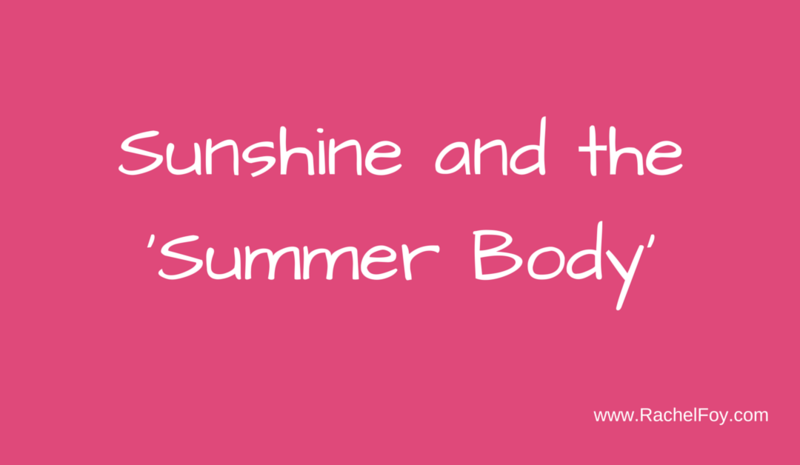 Anyway the other thing which the sun brings out is all the annoying irritating weight loss adverts in preparation for summer…..have you started seeing them yet?? Detoxes and cleanses are rife now as the health and fitness industry start to tap into women’s body insecurities. Listen I have nothing against anyone wishing to let go of extra weight in a loving and self compassionate way (which is totally doable by the way), but the thing which I am totally against is all the degrading and unrealistic marketing material which starts to make an appearance particularly around this time of year. The health and fitness industry is such an incredibly fickle business that they will take your money regardless of what you might actually need. •Regardless of whether healing your relationship with food is actually the solution. •Regardless of whether you are a dysfunctional eater and starving yourself whilst drinking some disgusting slime will do nothing to improve your relationship with food and ultimately yourself. I know it’s really tempting to invest your money into these programs (and I used to do the same) but ENOUGH ALREADY!!! 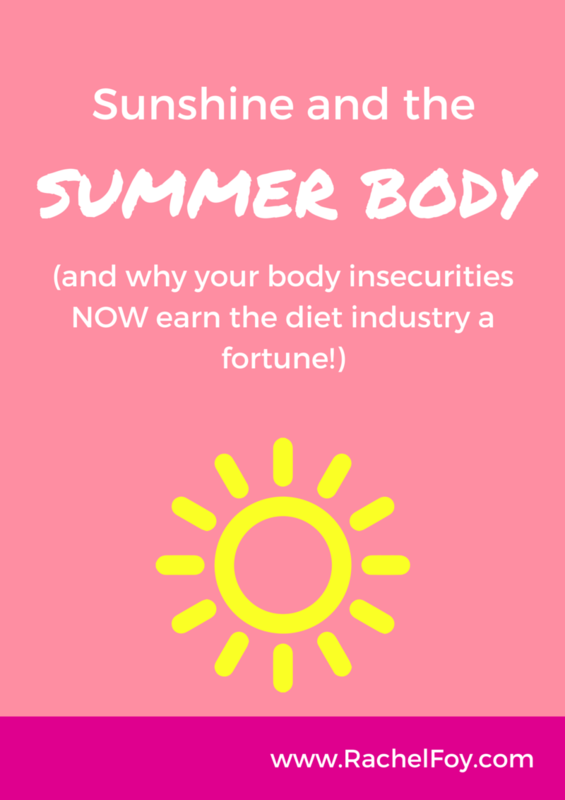 •What if THIS YEAR you could choose to STOP trying to get your summer body (whatever that means?!?!) and focus all of your attention instead on loving the one you have? •What if THIS YEAR you could make a conscious effort to break this crazy cycle and turn your back on all these stupid weight loss/detox/cleanses by listening toy our body and feeding her what she is TRULY asking for? You never know, you might find yourself having the most amazing and enjoyable summer yet. What have you got to lose….? PS WANT TO DO 1:1 FOR 6 weeks?? I’m taking on a very personal and small summer intensive, for 6 weeks, of women who REALLY want to find their food freedom and body confidence THIS YEAR. Women who are READY to break the cycle and step into their most confident self EVER! Together we’ll be going through all the techniques, tips, tools and strategies which I used myself to go from emotional eater, binge eater and yo yo dieter to no longer knowing my weight, feeling totally confident in my own skin and having complete freedom from food. I’ll not only show you what to do and how to do it, but I’ll personally be helping, supporting and guiding you along the way.